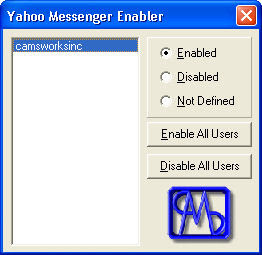 Yahoo Messenger Archive Enabler is a small tool that allows users to enable or disable the Archive function in Yahoo! Messenger for a specified user or all users in a computer in an offline way. · Shows a list of all the users that use Yahoo! Messenger in the current computer. · Disables or enables the Archive function for a specific user, or all of them with a single click. No need to be logged in Messenger!